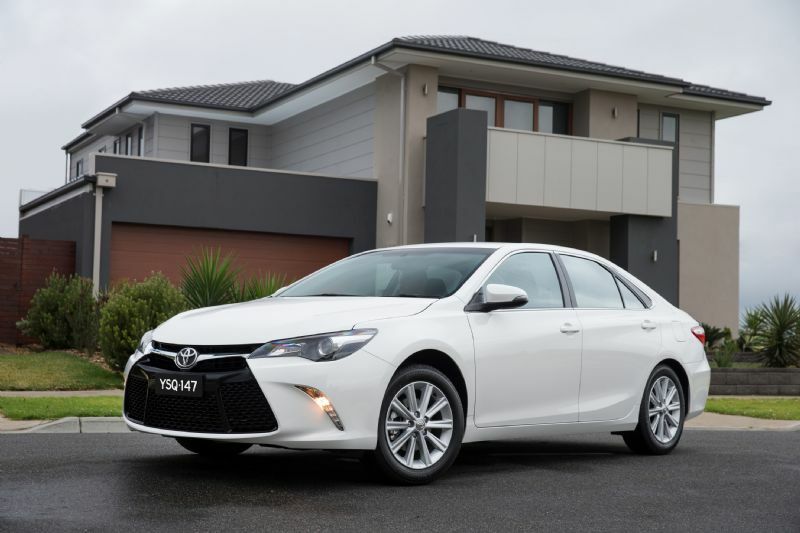 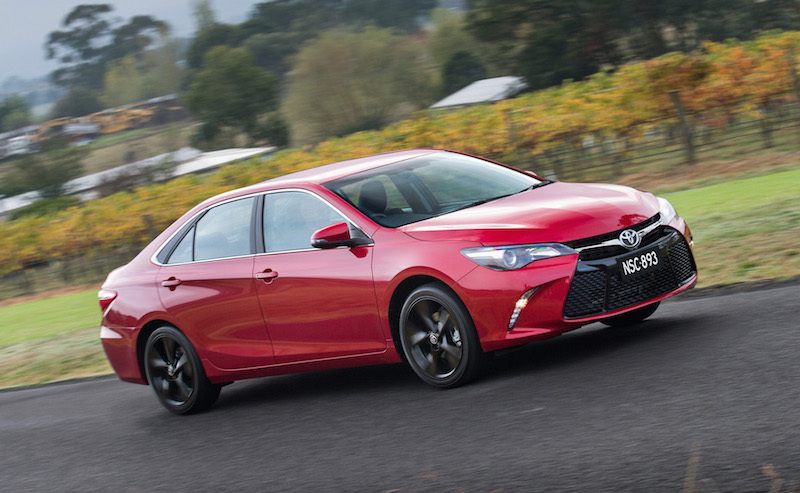 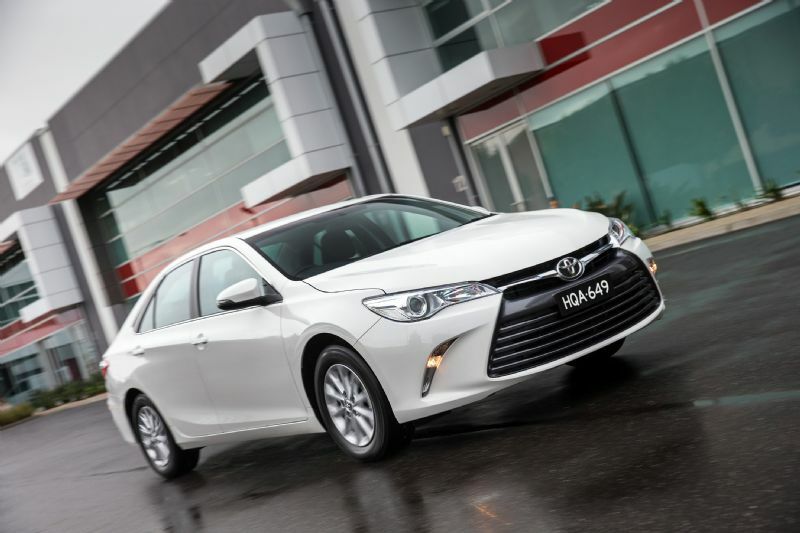 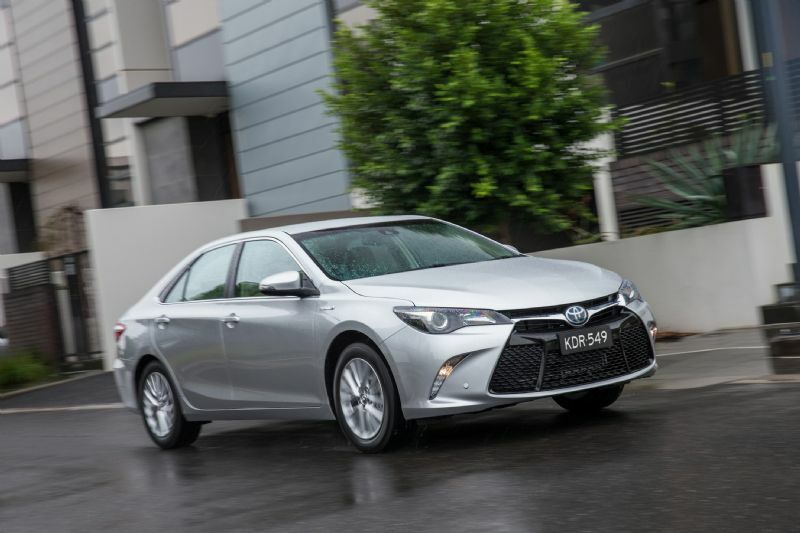 The freshly designed 2015 Toyota Camry is now on sale in Australia. 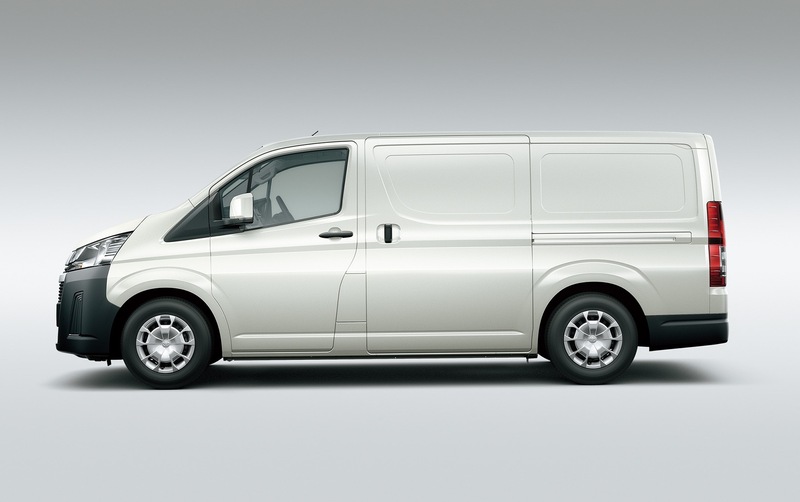 It not only brings an updated look to the conservative mid-sizer, it also introduces a host of advanced safety features and improved driving dynamics. 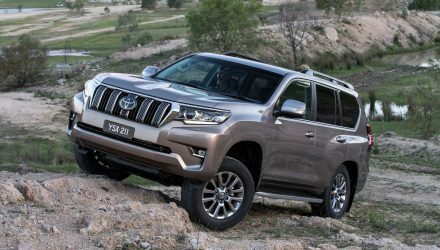 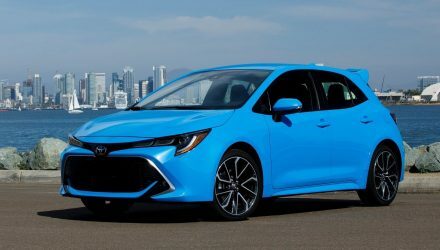 Toyota says that over 800 parts and components have been swapped or re-engineered for the new model, including every exterior panel except the roof. 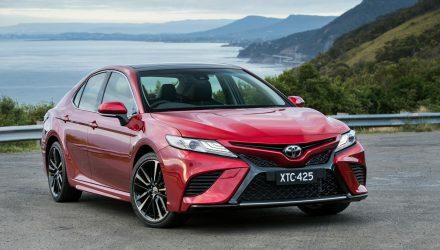 There’s also revised underpinnings and suspension to make it “the most agile and responsive Camry yet”, according to Toyota. 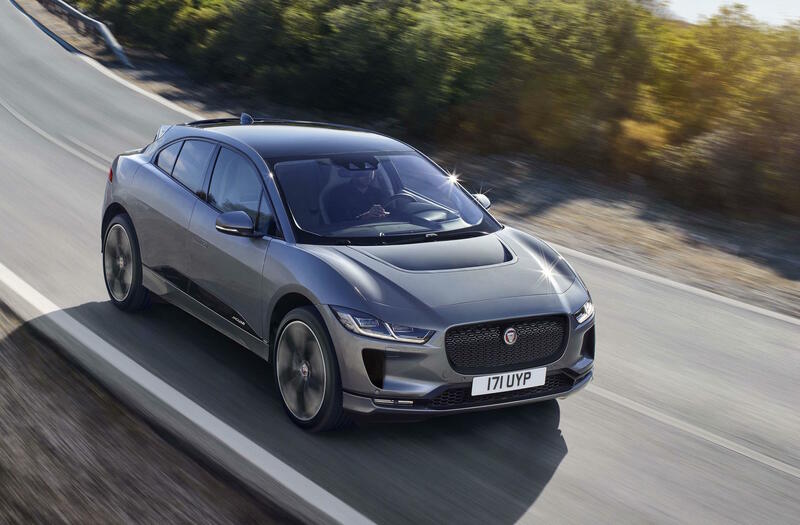 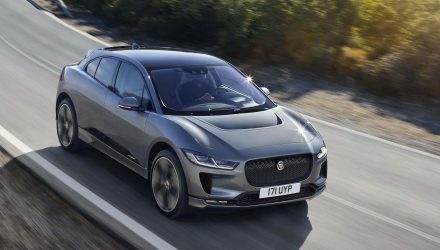 Four main model grades hit the local market, spanning from the Altise, the Atara S, the Atara SX, to the range-topping Atara SL. 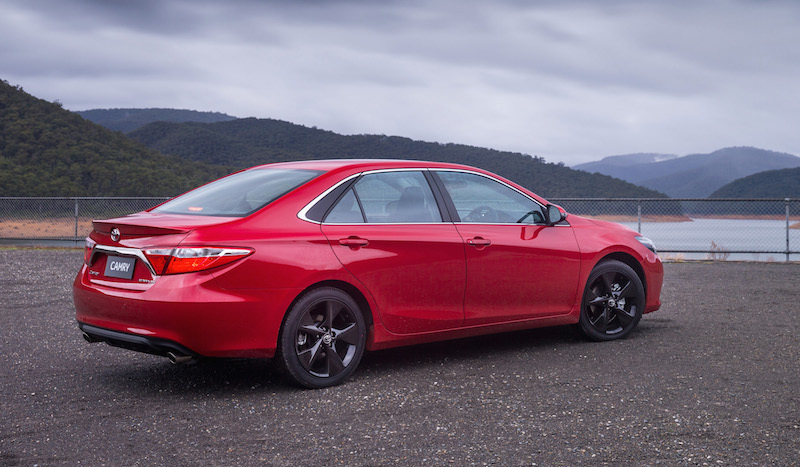 All variants come with unique alloy wheels, ranging from 16 inch, two types of 17s, and 18-inch items for the Australian-developed Atara SX. 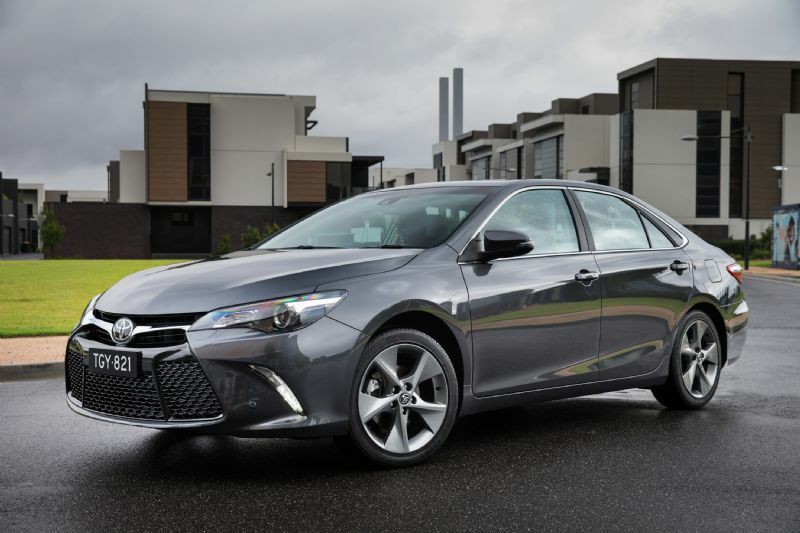 Under the bonnet features a 2.5-litre petrol engine producing 133kW of power. 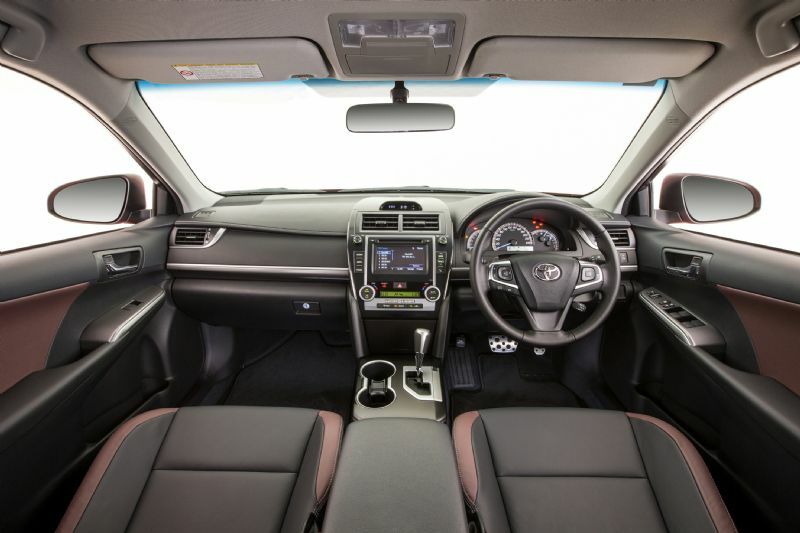 It’s matched to a six-speed automatic with front-wheel drive, offering a combined fuel consumption of 7.8L/100km. 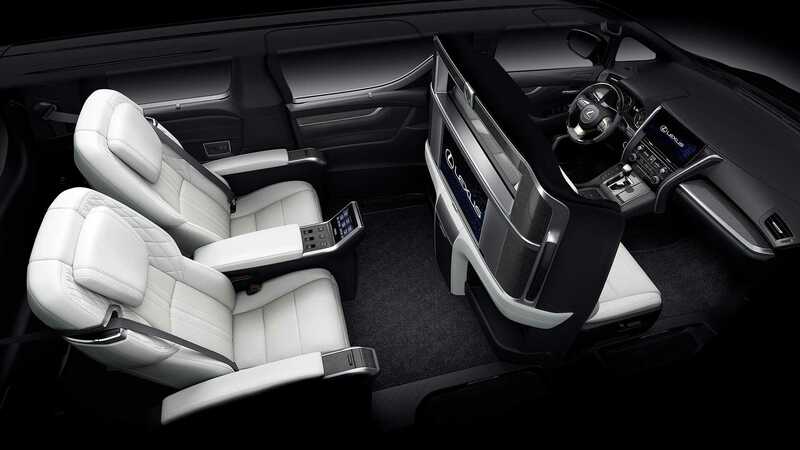 This engine can be had with all four variants. For the eco-focused buyer, the hybrid variants come with a petrol and electric combination developing 151kW, offering a consumption average of 5.2L/100km. 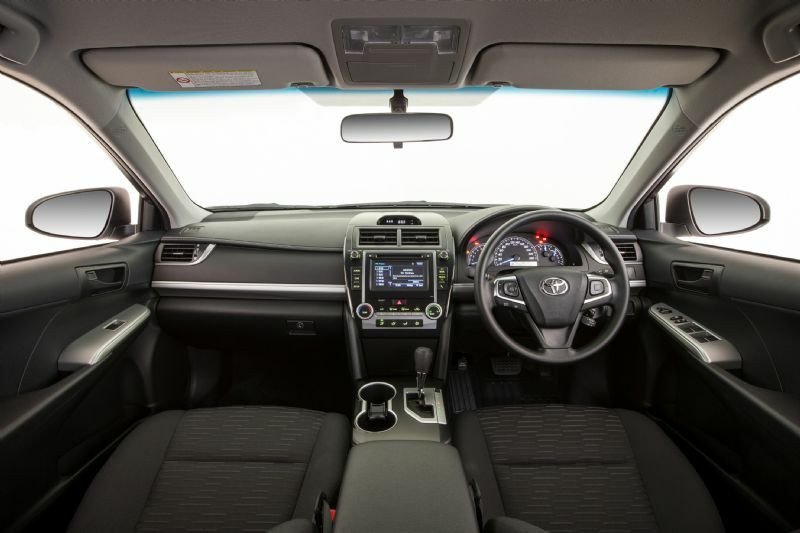 The hybrid setup is available for all variants except the sporty Atara SX. 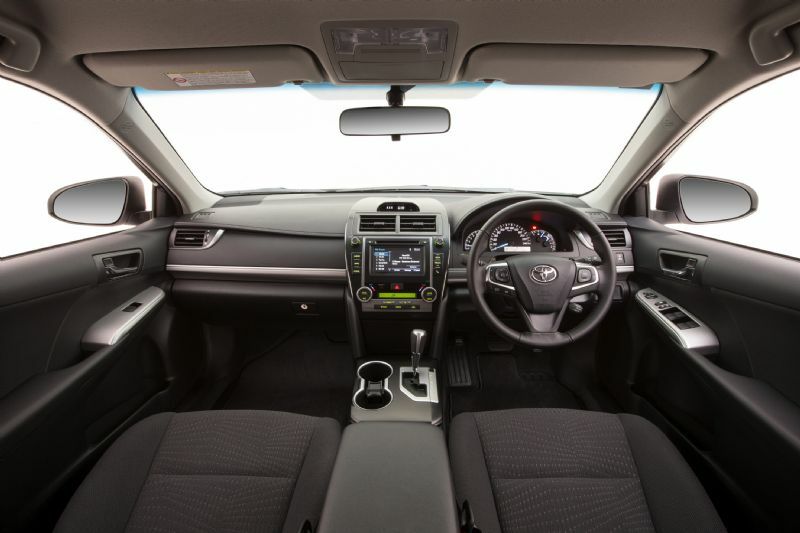 Inside, the interior has been refined, showcasing a new three-spoke steering wheel, while all hybrid variants and the Atara SL petrol get a 4.2-inch TFT instrument display surrounded by two Optitron dials. 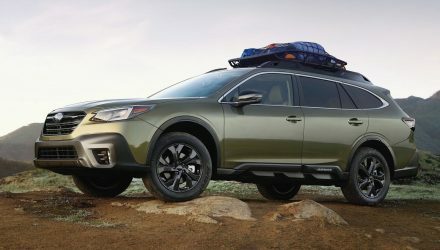 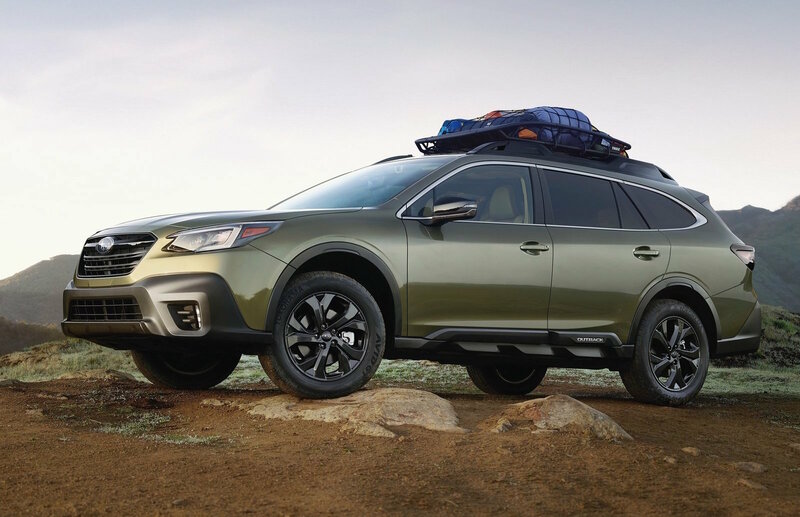 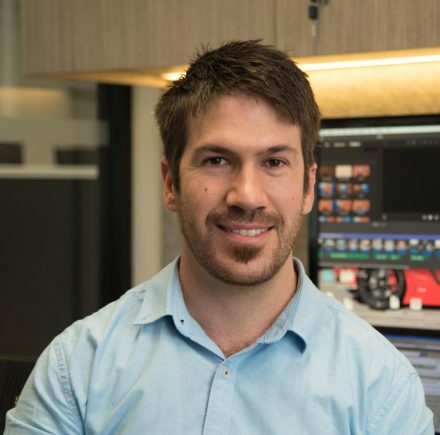 Some of the highlight new technologies available for certain variants include pre-collision safety which is designed to help avoid or reduce the severity of accidents, along with active cruise control, lane departure warning, and rear cross-traffic alert. 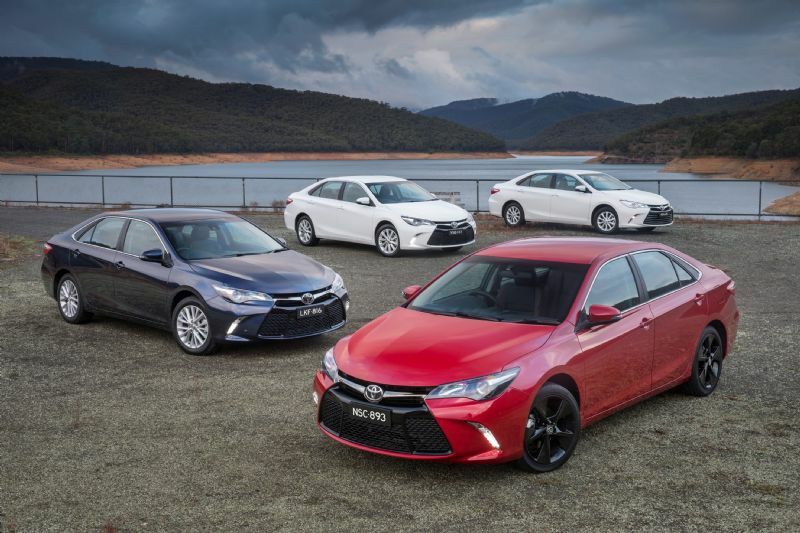 As for the prices, the new Camry entry point becomes the lowest in 18 years. 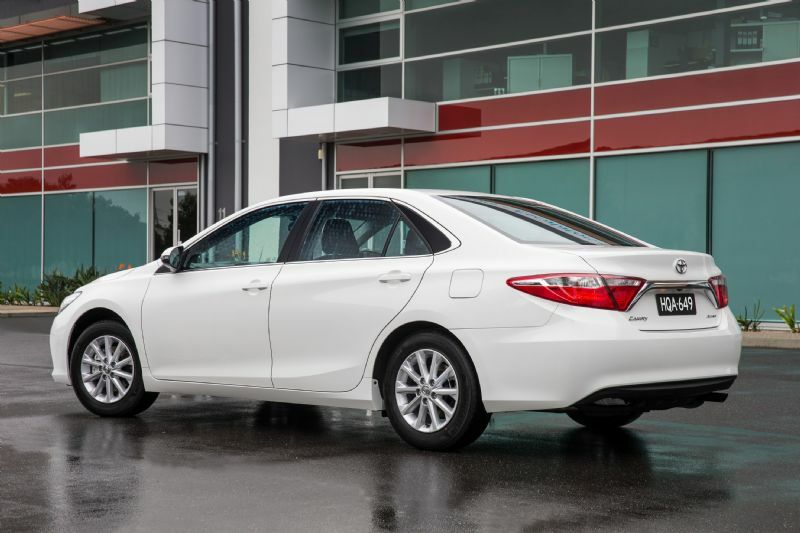 Toyota says despite the significant advances in safety, comfort, and convenience features, the starting price is just $90 more than the equivalent Camry CSi from 1997. 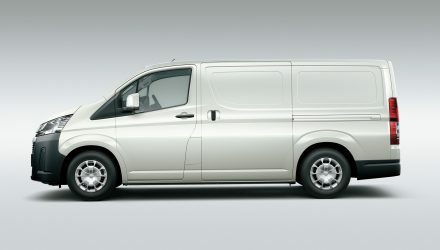 All prices are listed below (excluding on-road costs). 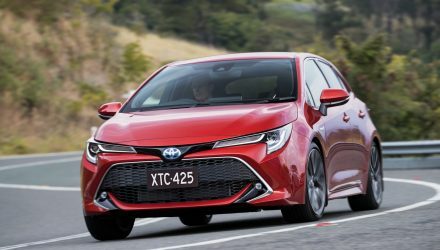 Toyota offers a special drive-away deal for an added $2500, which includes all on-road costs and the otherwise optional paint colours.